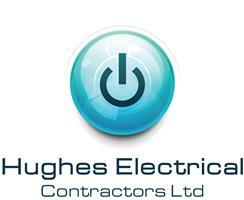 Hughes Electrical Contractors Ltd - Electrician based in Warton, Lancashire. Are you a homeowner, landlord or business owner in need of a quality local electrician? Are you tired of being let down by your current electrician? Or are you needing some electrical work carried out, but are unsure of how much it will cost, or what it is you even need? Do you need an electrician, but don't want to wait weeks for them to provide a quote? Would you benefit from a friendly, reliable, trustworthy local electrical company, that stuck to their word and delivered a fast, efficient service? At Hughes Electrical we pride ourselves on just that. As busy homeowners, landlords and business owners ourselves, we understand the frustration in waiting for a tradesman to "get back to you", and we aim to be with you the same day to provide advice, quotations or emergency maintenance. Our quotations and consultations are free and without obligation. Our friendly team of electricians are experienced, skilled, tidy and courteous. We cover Lancaster, Morecambe, South Lakes and the surrounding areas, although we are happy to travel further afield if you need us. So give us a call today, to find out how we can help take the stress out of your electrics. Our contact details can be found above and we are waiting to talk to you about your electrical needs.